Roof replacement is actually part and parcel to one of the most important financial decisions most people make in their lives. It is a major investment on the life of your home or commercial property. Due to the expensive nature of this comprehensive and all in all huge repair on this primary financial commitment in your life, it is important you find the right contractor to get the job done right the first time. Roof replacement, call 937-681-8910 for a free estimate. – Major work calls for major professionals. The decision to select a more complete fix to your protective structure with roof replacement is most likely not one you made lightly, or perhaps you are still in the process of deciding how much your should replace. A benefit for certain roof types, such as shingles, we can measure off a reliable portion of the roof that needs only so many new shingles, and possibly other materials. However, sometimes an entirely new roof system is your best option to nail down a full protective shell, or weatherproofed roof. Metal: This material is not your grandparents’ metal roof; this new technology does not share the same pitfalls of the metal roofing of the past. It carries the same benefits, however, including fast and easy installation. But with new and advanced technology comes much improved material, and this new metal that we could install on your roof is impervious to rust. It involves a new blend of metal and other material that makes rustproof possible. If your need is full roof replacement, metal is a new and popular option because of its practicality. Contrary to popular opinion, metal will not bubble under constant exposure to sunlight. In fact, this new concoction of technology reflects up to 88% of the sun’s radiance, which saves you big time on your bottom line for monthly utility costs. That’s because heating and cooling costs account for 50 to 70% of the average operational cost of the American household according to the Department of Energy. This material is set to last a lifetime with very little maintenance required. Also, these roofs do not attract lightning any more than other materials. Metal roofs were largely pioneered in the Florida Keys and remain a popular choice down there. Lighting is attracted to the tallest point for any given area, not matter the material. Asphalt: This is another solid choice for roof replacement because of its affordable cost and its common use throughout our country. It is sort of like a brand of cars on our roads – the more of one type of brand, the more accessible and easily that brand of car can be fixed at garages everywhere. It is just more common and it is what people are used to dealing with. 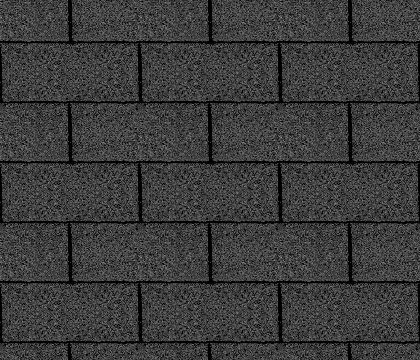 Also, asphalt shingles can be easily fixed if one small portion is damaged. It may be as easy as replacing a few shingles, another way this material saves you money during roof replacement. Flat Roofing: If you are under a very large corporate structure, flat roofing is a popular design. We have the tools, materials and expertise to quickly and efficiently handle your commercial property fixes. When you have a company that can take care of a whole host of roofing issues, you know that your specific problem will get solved with maximum aptitude.